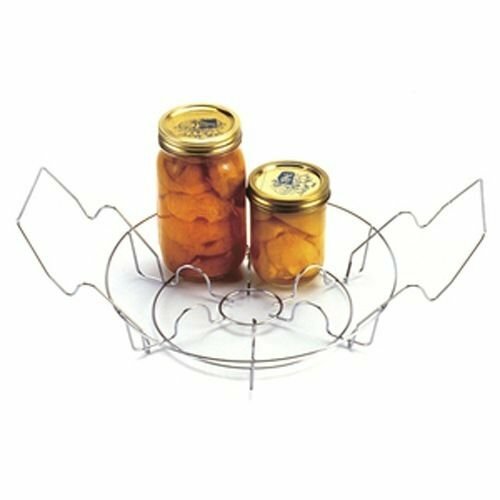 Norpro`s canning rack holds up to 7-quart or pint jars. It keeps jars from touching each other or the canner as hot water circulates freely around the jars. Measures at 12` in diameter. The unique handle design lets you raise and support the jars on the edge of the canner for easier removal. the jars on the edge of the canner for easier removal.